The best resume format that is effective for most people most of the time is the combination resume. The chronological style is second best, and, coming in at a distant third, is the functional style, which I would never recommend using. 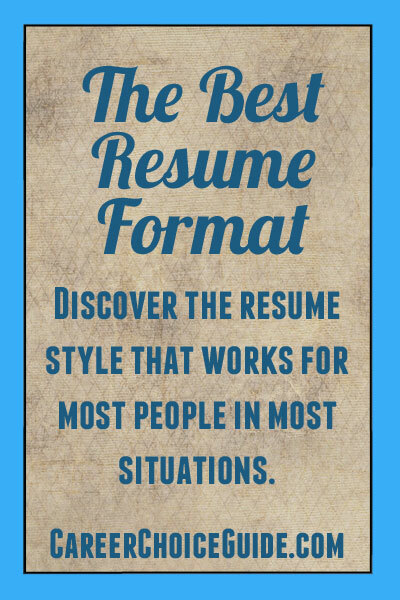 Of these three formats, the combination resume offers the most flexibility to allow you to structure your experience and skills in a way that shows you in your best possible light. It's important to keep in mind that when employers review your resume, they do it very quickly. You have, at most, 30 seconds, and probably less for employers to make a decision about whether they might want to bring you in for an interview. With that in mind, whatever format you choose must allow employers to quickly gather the information they need to make them want to call you for a job interview. A functional resume is simply a very detailed list of your skills and accomplishments as they are related to the type of job you are currently seeking. A purely functional resume does not include your work history, and usually education is also omitted. The functional format is sometimes used to hide any weaknesses in your work history because work history is completely omitted. If you have gaps in your work history, have had several jobs in a short period of time, or have very limited work experience, these issues (in theory) are hidden on a functional resume. Employers do not trust functional resumes. They know that they are used to hide issues related to the applicant's work history, so when employers see a functional resume, they assume you are trying to hide something. The fact that functional resumes are not trusted by employers is a significant disadvantage and should not be taken lightly when you are deciding on the format you will use. There are other, more subtle and effective ways to deal with concerns related to your work history. The functional format is rarely, if ever, a good choice. I can't imagine ever suggesting to someone that they should use a purely functional resume. In fact, I've written over one thousand resumes, and I can't think of a single time when I used a purely functional style for anyone. Functional resumes carry no credibility with employers. This fact is such a profound weakness of this style, it is simply not a good choice. Although I am no fan of the functional resume, it is a style that some people use. Since it exists, I do want to present it and outline all of the pros and cons of using this style. That way, you'll be able to make up your own mind about using it. Some people who have absolutely no work or volunteer experience, such as students seeking their first job, consider using a functional resume. Keep in mind, though, it is extremely rare for people to have absolutely no experience to include on a resume. In the very rare case that this occurs, I would strongly recommend that you find ways (such as volunteer work or a school placement) to gain some experience. The primary focus of a chronological resume is a detailed list of your work experience in reverse chronological order. A chronological resume showcases your career history and progression very well. When it's well written, it is easy to see job titles, promotions, and employers at a glance. This style is credible to hiring managers. Your work history is front and center, so if there are any weaknesses in your work history, they'll be harder to minimize. For this reason, chronological resumes are usually not the best choice for people who have gaps in their work history, have had several jobs in a short period of time, or have very limited work experience. Employers often review resumes to ensure you have the basic skillsthat they require. There is no single place to highlight your relevant skills on a chronological resume (remember, you only have a few seconds to make a great impression), so your skills can easily get hidden when you use a chronological format. Because skills are not highlighted, the chronological format does not do a good job of showing how your skills from one job transfer to another type of job. This style is usually not the best choice for career changers. A chronological resume can highlight your age if you're not careful. This issue can sometimes be a concern for older workers as well as younger workers. Consider using a chronological format when you have a solid work history and career progression and your most recent jobs are an excellent match with the type of work you are currently seeking. The chronological style is the best resume format for highlighting your work history, so you would consider using this type of resume when your work history is the main thing you want the employer to notice. A combination resume (sometimes also called a combined resume) is a combination of the chronological and a functional styles. It highlights both a summary of your skills as well as your work history. It's easy to see your skills and/or accomplishments at a glance on a combination resume. It also includes a work history section so employers know in what context, how long and where you used those skills. Combination resumes are credible to employers. If your work history is limited, this style has the benefit of allowing you to highlight your skills first. The combination format allows you to show how your skills and accomplishments are relevant to different types of jobs. If there are any weaknesses in your work history, you'll need to find ways to minimize those concerns. Because you will describe your experience and your skills in two different sections, a combination resume can get repetitive if it's not carefully written. A combination resume combines all of the strengths of the functional and chronological styles. It works very well for most people most of the time. It is the best resume format for people who want to highlight their skills and accomplishments as well as their work history. It is typically the best resume format for career changers because the skills section allows you to show how your skills are related to the new job that you are seeking, and the work experience section gives credibility to the resume. 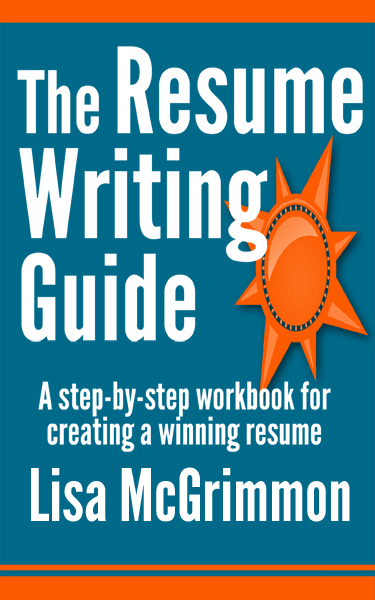 I have written a resume writing book which takes you step-by-step through the process of creating a resume. It shows you how to handle common issues such as gaps in your work history, incomplete education, and making a career change in a way that makes a great impression on employers. The book is available in both Kindle and paperback formats on Amazon.